A few weekends ago at an in-home movie date, my companion selected an oldie called “Sliding Doors,” the picture that launched Gwyneth Paltrow’s film acting career. It tells the story of a woman’s life in two parallel realities: one where she catches a train home and finds her boyfriend with another woman, and another where she misses the train, remains ignorant of his dalliance and continues her life in its existing trajectory. I’m not a huge fan of this particular film genre, but it was well-acted and entertaining enough for a quiet Friday night at home. But my mind wandered during the film and I found myself reflecting on the premise of the story: Wouldn’t it be great to model what-if scenarios in real life when presented with complex situations that require a critical decision to be made that can’t be undone? Incident commanders, emergency managers and staff are responsible for making decisions as part of their job. The powerful ability to simulate the cascading impact of emergency events using “what-if” and consequence analysis can help improve response decisions and reduce economic and human costs. 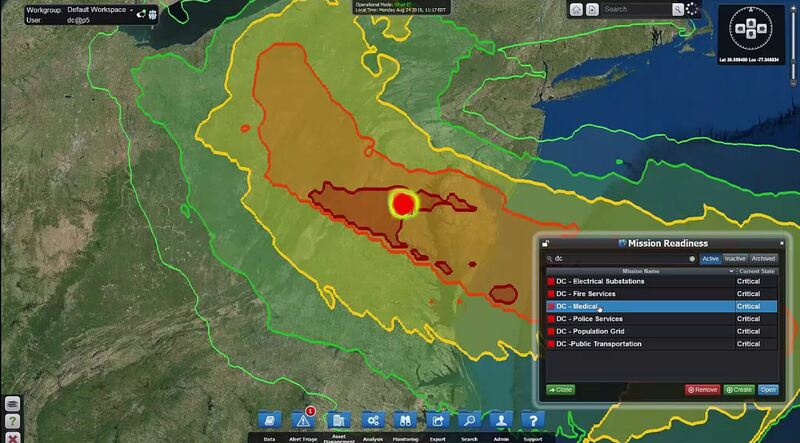 IBM recently announced the Intelligent Operations Center for Emergency Management product, which delivers an all-hazards solution. It provides a “what-if” mode that simulates the impact of various emergency or disaster events such as a storm surge, bomb explosion, high wind and so on. This mode creates a snapshot of the current operating picture that becomes a parallel instance of the current reality upon which various realistic simulations can be run to evaluate the impact of selected potential and predicted events. Impact analysis performed on a possible occurrence of the operating picture provides actionable intelligence for planning the most effective response before the actual event occurs. IBM also recently announced a strategic alliance with The Weather Company that delivers real-time weather data as input to the Intelligent Operations Center for Emergency Management sophisticated analytics, including impact analysis. Using data feeds from The Weather Company, emergency managers can simulate the effect of severe weather upon their operations using current or forecast weather conditions in near-real time. When a storm is approaching, the emergency manager gets a weather alert for severe weather. Using the “what-if” mode, he or she can create a snapshot of current conditions and apply the forecasted storm data to the current operations picture to simulate the storm. An impact analysis can be run on a selected subset of assets (for example, residences, offices, hospitals, power grids and other critical infrastructure) to simulate the effect of the storm on the selected section of the city. The predicted event’s impact can be simulated not only upon user-selected assets but on related assets also affected. Impact relationships between objects are based on the user-defined dependencies and interdependencies. Weather data-driven impact analytics can not only predict that a flood will knock out a power substation, but it can identify the critical infrastructure and key resources such as hospitals that depend on it for power, enabling faster and improved planning of mitigation, response and recovery activities. I will be demonstrating these and other innovative analytics-driven emergency management capabilities at the IBM i2 Summit for a Safer Planet at the Capital Hilton in Washington DC on September 1 and 2, 2015. Please visit the Emergency Management kiosk to learn more. But back to the movie…as the final credits started rolling, it dawned on me that not even “what-if” and impact analysis could have saved Gwyneth’s character’s disastrous relationship with her boyfriend. I guess some things are just not meant to be.